"Dr. Whites definitive description of the soul and its appropriate care are probing, challenging, insightful, engaging, and caring. I highly recommend that practicing Christians read this book. It can help us to improve our lives in various ways.? ?I strongly recommend this timely, engaging book. This treatise is a harmony with both Hebrew and Greek biblical scholarship as well as African/Edenic cultural principles and practices.? ?This is a spiritually passionate and scholarly biblical challenge to every believer in Jesus Christ to care for their soul. Dr. White gives us chapter after chapter of Bible based rational for taking care of ourselves inside and out. It is a must read for anyone who is serious about the call of God upon their lives. 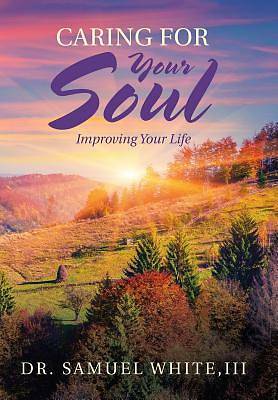 Use this step-by-step approach and watch your spiritual life grow daily.? ?Dr. Samuel White, III's insightful and poignant analysis of the progression of spiritual development and maturity is a needed treatise. We all identify with the spectrum of struggle that life itself presents in our indigenous spiritual journeys. ?Caring for Your Soul? unearths the implementation strategies that balance our ?humanity vs. divinity? issues with authenticity and purposefulness. ?